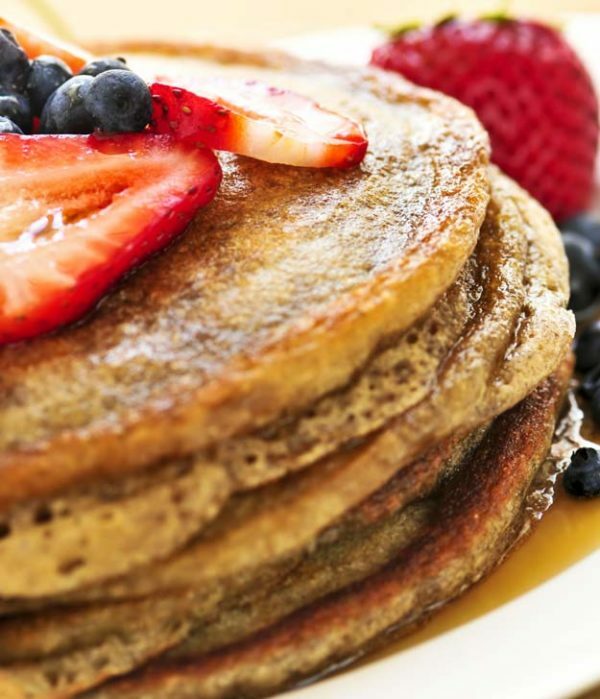 Combine Grain Berry Pancake & Waffle Mix, Silver Palate Thick & Rough Oatmeal (or other rolled oats) and cornmeal in a food processor and process only to blend. Blend oil, eggs, buttermilk and honey together in a large bowl. Add flour mixture and stir just until blended. Fold in pecans. Heat a griddle or large skillet over medium-high heat. Brush with oil. Ladle a ¼ cup-measure of batter onto griddle for each 4-inch pancake. Cook until golden brown on the bottom and small bubbles form on surface, about 1 minute. Turn and cook second side until brown. Adjust heat to keep pancakes from burning before cooking through. Remove and keep warm until all pancakes are done. Serve with butter and maple syrup.